«Roberto Burle Marx (1909–1994) was one of the most influential landscape architects of the twentieth century, yet he is not a familiar figure outside of his native Brazil. He is best known for his iconic seaside pavements on Rio de Janeiro’s Copacabana Beach, and for his abstract, geometric garden designs. 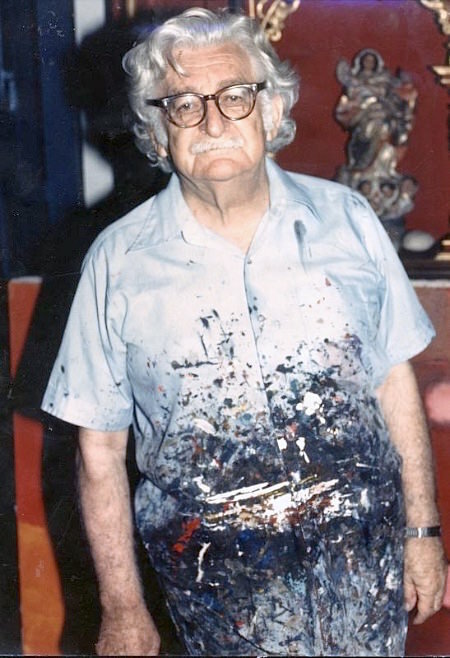 But his work encompasses an enormous range of artistic forms and styles: Burle Marx was a painter and sculptor; a designer of textiles, jewelry, theater sets, and costumes; a ceramicist and stained-glass artist. He was an avid art collector, a talented baritone, a consummate cook, and a visionary self-taught botanist and ecologist. For him, all these endeavors were equally important, facets of one another».